1. Advanced design and excellent fabricating ensure the air tighten sufficiently while the rotoring running smoothly. 2. With sight glass at the inlet for a intuitionistic inspection. 3. 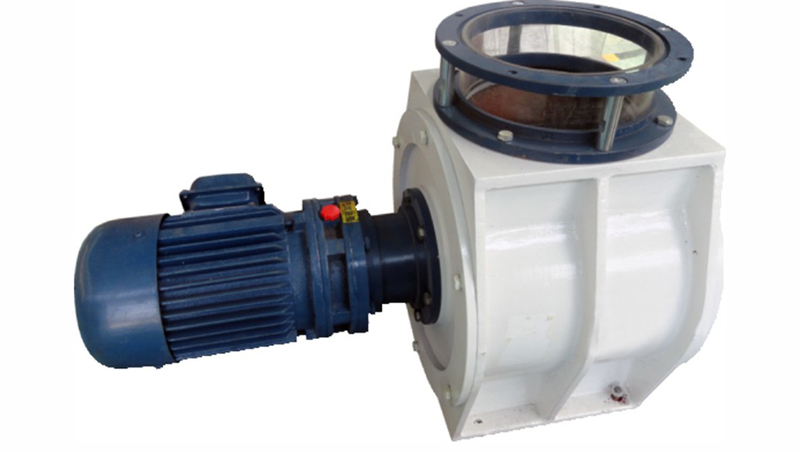 At most 7 units machine can be connected together to share a gear motor. 4. Made by stainless steel, high sanitation. 1. Normally airlocks are installed underneath the pneumatic cyclones and air jet filters for the discharge of mill stock, filter dust in the food processing industry. 2. Can also be used as a ration machine for feeding materials such as grain, break stock, semolina, flour and other materials with similar characteristics from pneumatic conveying lines. Looking for ideal TGFY 9L Air Lock Manufacturer & supplier ? We have a wide selection at great prices to help you get creative. All the TGFY 11L Air Lock are quality guaranteed. We are China Origin Factory of TGFY 16L Air Lock. If you have any question, please feel free to contact us.